After nearly a decade and billions of dollars in R&D costs, we've still barely scratched the surface of Mars. That sort of outlay just won't work for exploring Jupiter's moon Europa, especially since all the interesting parts of the moon—like its potential subterranean ocean—are encrusted with meters of ice. But with the help of the UK's new space penetrator module, we may be able to inject our scientific devices meters deep into other celestial bodies. The space penetrator is a lightweight, bullet-shaped, self-contained instrument module designed to be shot into the strata of extraterrestrial bodies. So rather than attempt to safely land a rover, have it scoop up surface soil, process, analyze, and transmit its findings back to Earth while hoping that at no point does anything go wrong to disrupt the multi-billion dollar mission or anyone asks what the dirt is like a bit further down, the space penetrator would perform the analysis directly in the before transmitting the data back mission control. No sticky wheels, no dusty solar panels, no fuss, no muss. The penetrator has been under development for more than a decade now, originally part of the failed British Moonlite program, and is funded by the ESA. Weighing just 28 pounds, the penetrator could usher in a new, low-cost means of exploring the solar system. It would be launched from a mothership into orbit around the target body as part of a satellite. This satellite would act as a launching pad for the penetrator, ejecting the device to rocket down into the planet's surface at 200-300 m/s aboard a solid rocket motor. As the penetrator nears the surface, it will jettison the engine, and impact nearly 10 feet into the crust. Once stopped, the penetrator's accelerometer determines how deeply it's burrowed and activates its onboard sensor suite. 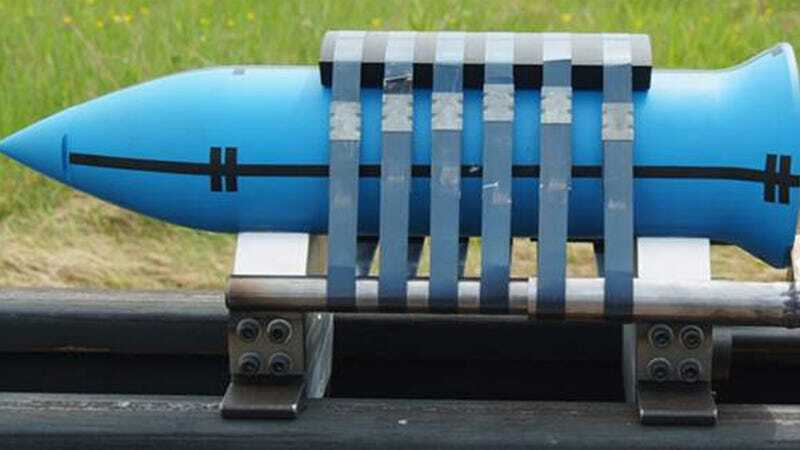 These sensors will be mission specific, of course, but are expected to employ a variety of seismometers, magnetometers, geochemical, radiation, and thermal sensors. In addition it will likely have imaging capabilities as well, including a descent camera, ground imager, and microscope. It will even carry a min-drill to collect ice samples. All of this data is then relayed through the mother ship back to Earth.